 Choosing ON POINT INSPECTIONS, INC. Selecting ON POINT INSPECTIONS, INC. for your inspection will give you the peace of mind you deserve to help you with the most important step in the home buying process. Philip Taylor, a licensed and practicing Illinois Property Inspector with over 8,000 documented residential and commercial inspections, will create a comprehensive computer generated report with email capability. Philip was trained and tested through ITA, a leading inspection training center, and is a licensed electrician with over 10 years contracting experience. Philip is also a certified mold remediation technician with the knowledge to inform the client about fungi growth, and can diagnose the cause of the problem. ON POINT INSPECTIONS, INC. can detect fungi growth, diagnose the cause, perform sampling, and remedy a solution. ON POINT INSPECTIONS, INC. strives on honesty and reliability, with aspirations of leaving the buyer and the realtor comfortable, and also with a better understanding of the buildings structural and mechanical components. Call ON POINT INSPECTIONS, INC. for your next inspection and be confident you made the right choice. Infrared thermography cameras produce images of invisible infrared or "heat" radiation and provide precise non-contact temperature measurement capabilities. Nearly everything gets hot before it fails, making infrared technology an extremely cost-effective, valuable diagnostic tool in many diverse application. January 1, 2015 - ON POINT INSPECTIONS, INC. is now offering air quality testing and sampling.